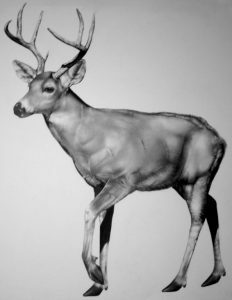 In this workshop you’ll learn how to make a photo-realistic drawing from a photograph. Students will learn the basics of drawing from their favorite pictures with pencil (graphite). The difference from life-drawing is that drawing from photographs can capture a moment of things that eyes cannot see, and by creating drawings from pictures, how to shade and make balance of light and shadow, and also attentions to details can be trained. In addition, you can choose any scenes, things, people, history and time you want realistically, which would be hard to do by life-drawing. If you work hard you can make a drawing that looks like a photograph! Tomie Seo is a visual artist from Japan. Her work depicts the hidden political and social structures of the world by focusing on racism, gender and identity – those who are repressed and victimized. She believes that the phenomena of this world is intertwined and related – like light and shadow, cause and effect – and often juxtaposes opposite images through drawing, painting, video and sculpture with electronics to create interactive installations which represent a diorama or map of a whole structure or system. 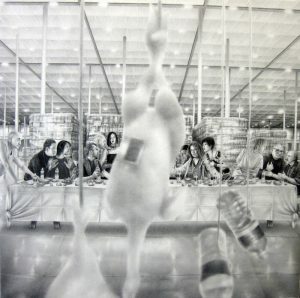 She obtained a BFA from the School of the Art Institute of Chicago and an MA in Painting from the Royal College of Art. 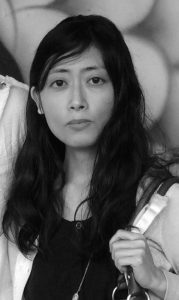 She’s done residencies at the Atlantic Centre for the Arts as well as the Vermont Studio Centre in the USA, and the seMA NANJI Residency in Korea, and exhibits her work internationally. You can see more of Tomie’s work and learn more about her here.